It’s 5am on a mild September morning in Charleston, SC. As my iPhone plays the familiar tune of my morning alarm, I surprisingly neglect the snooze button and hop out of bed and brew a cup of coffee. “Feeling awfully chipper this morning, are we?” my wife quips, pulling the covers over her head. I certainly am! 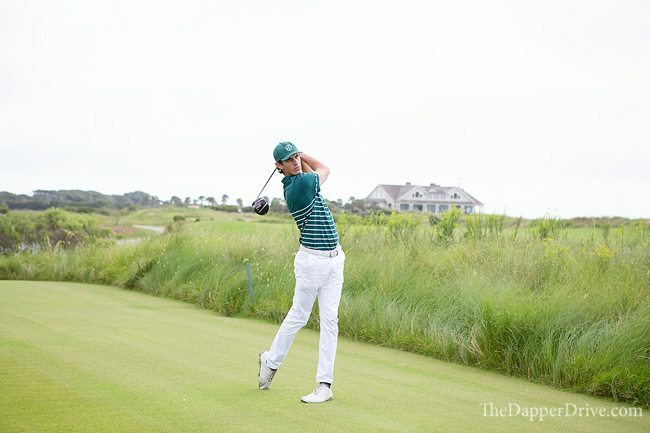 It’s the day I’ll finally be teeing it up at The Ocean Course. 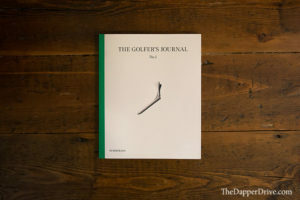 As a true lover of the game of golf, I’ve compiled quite an extensive bucket list of courses over the years. 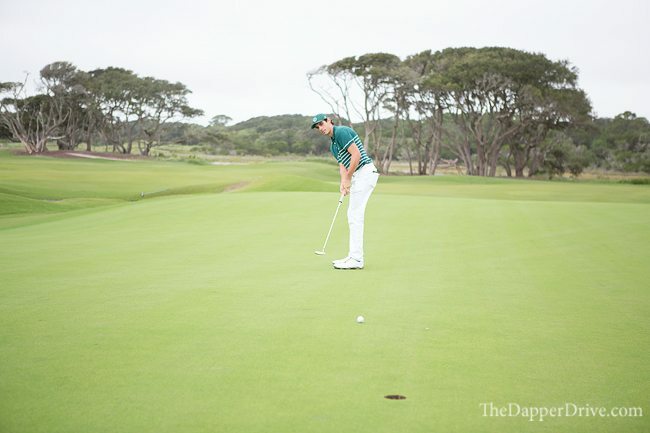 Aside from the obvious slough of ultra-private courses (think the likes of Augusta National and Pine Valley), public courses rooted with rich history – such as Pebble Beach and Pinehurst No. 2 – had always stood atop my list. 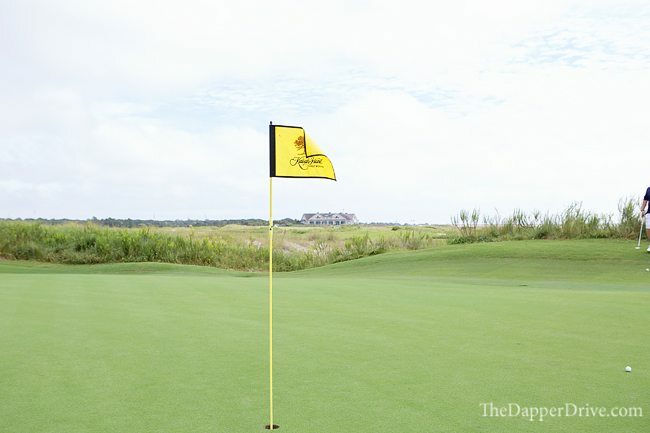 Enter The Ocean Course at Kiawah Island Golf Resort. I’d be lying if I said it’s a course I grew up dreaming about playing. Sure, I knew about the “War by the Shore” (aka 1991 Ryder Cup – USA! USA!) 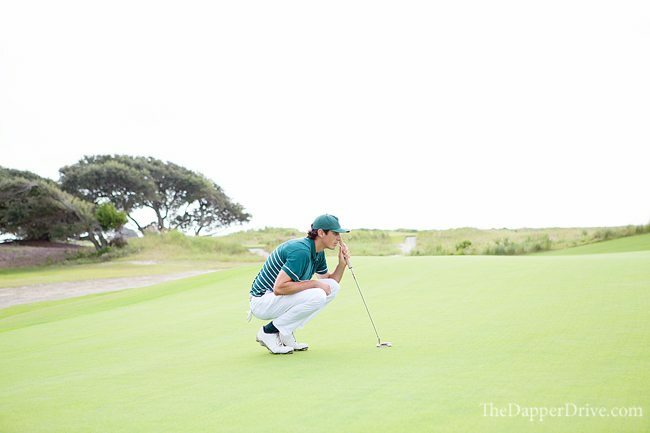 that put The Ocean Course on the map, but it really wasn’t until the 2012 PGA Championship that the course popped onto my must play radar. 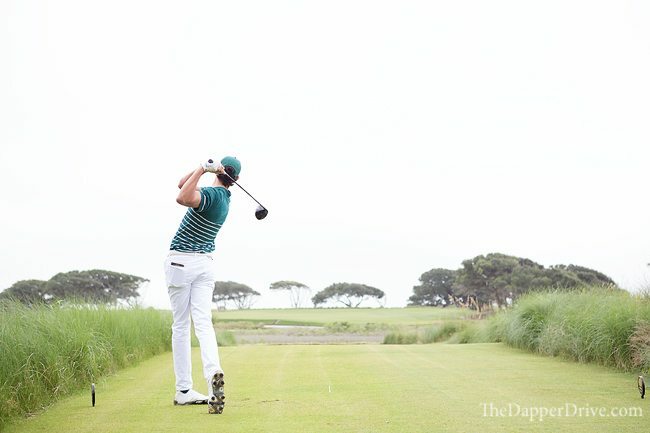 After enjoying The Ocean Course experience, I’m here to tell you that this course is undoubtedly a worthy bucket list candidate. Why? Well, I’m glad you asked. 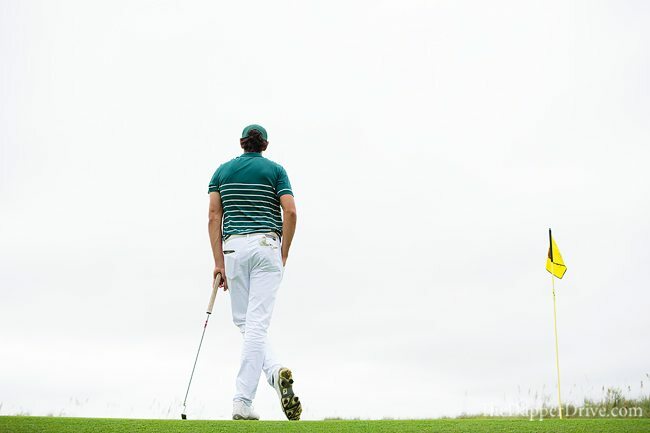 The minute you step on the first tee, you realize this is going to be a course unlike any other you’ve ever played. 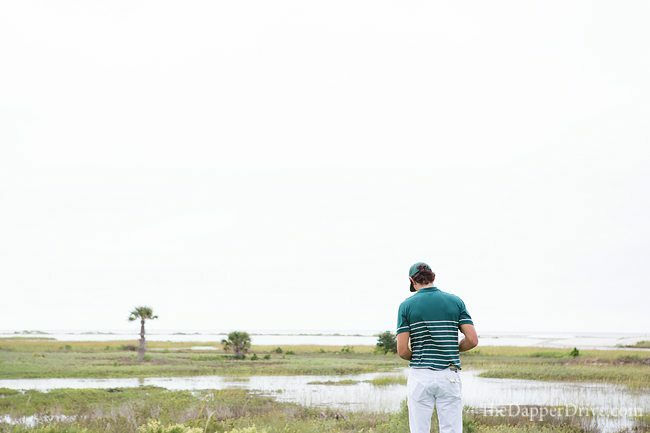 Surveying the hole, you immediately notice the lush green fairway lined by sandy brown waste bunkers, tall palm trees, wind-swept live oaks, and thick green sea grass. Where am I, you wonder? Added to the mix are extensive marshlands, lakes, sand dunes and this little body of water known as the Atlantic Ocean. This unique landscape lends itself to the wildlife and as the friendly course rangers point out, there’s always something lurking. Keep your eyes peeled for jumping fish, feeding herons and hawks, and plenty of gators. No worries though, they’re simply there to root you on in your quest to conquer The Ocean Course. 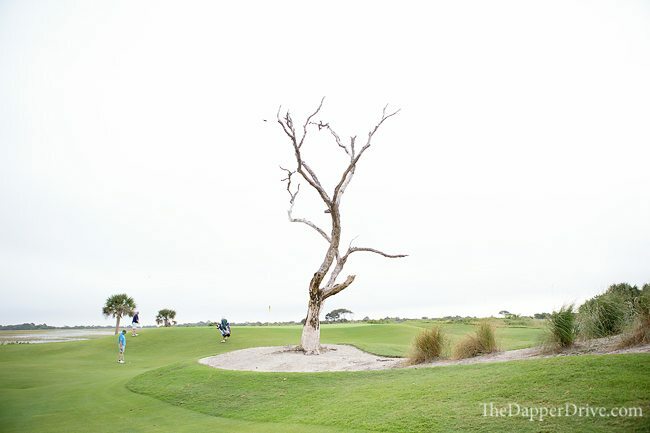 It’s no secret that course architect Pete Dye is known for his ultra-challenging and unique golf course layouts. 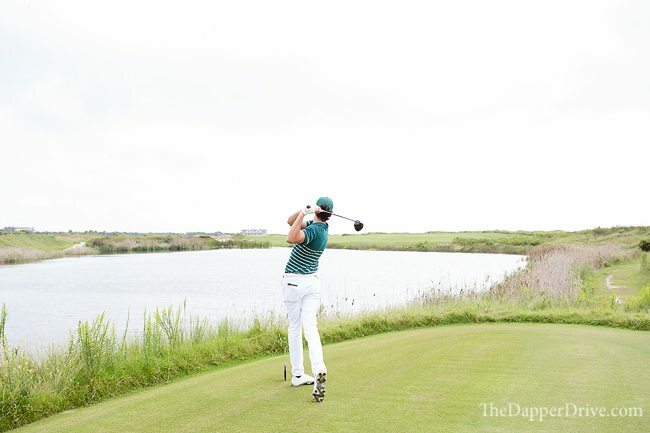 The Ocean Course was certainly no exception. 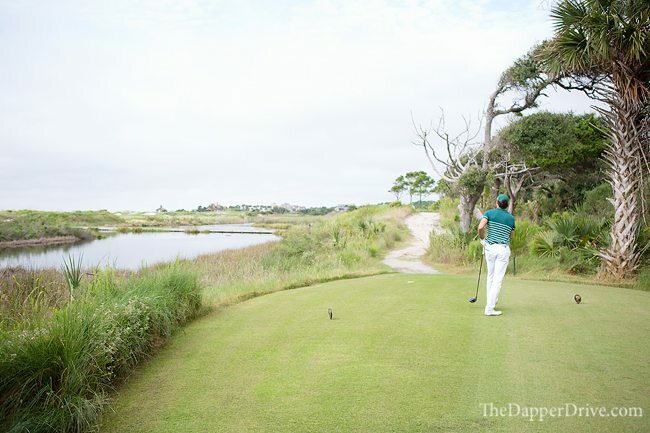 Working its way up and down the coastline, each hole features views of the Atlantic. 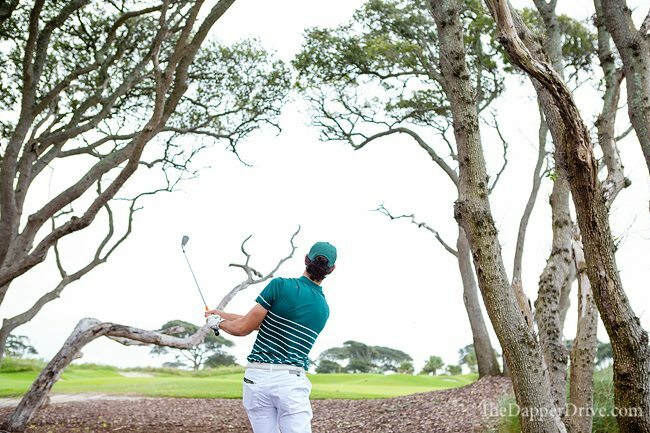 This location, along with the lack of tall trees, means that the often strong winds can wreak havoc on your round. Remember that stinger Tiger patented in the early 2000s? Great, add it to your shot arsenal pronto. One layout design you’ll notice is the extensive amount of tee boxes on each hole. 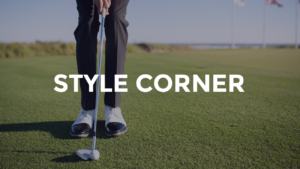 Because there is no “prevailing” wind, Dye actually designed two golf courses – one for an easterly wind and another for a westerly wind. 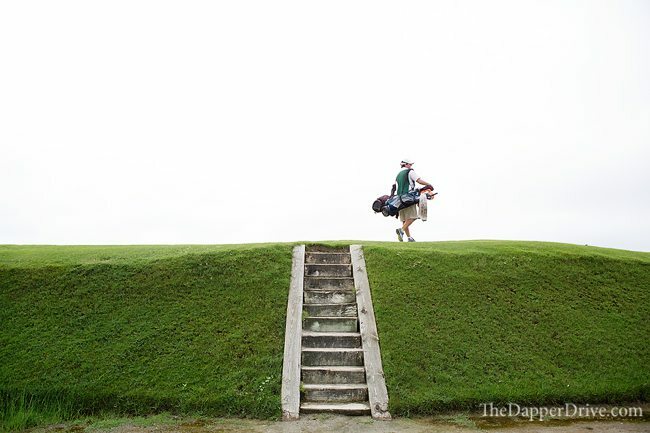 The result is a course that can be stretched to nearly 7,900 yards from the tips! 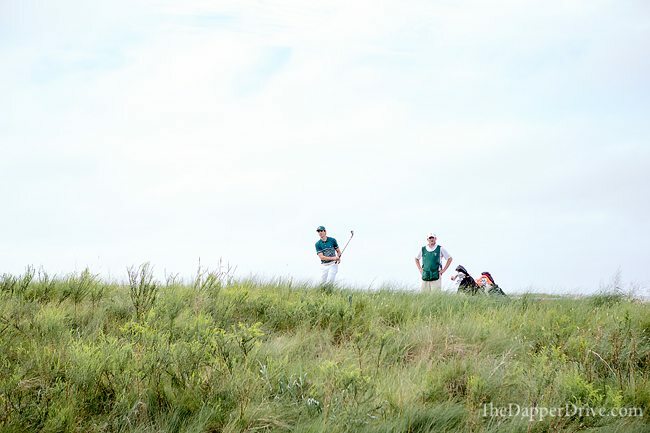 Is it starting to make sense why The Ocean Course was named the toughest course in America by Golf Digest in 2010? Fear not though as there are a set of tee boxes for golfers of all skill levels (advice: play the set of tees the starter recommends for you!). 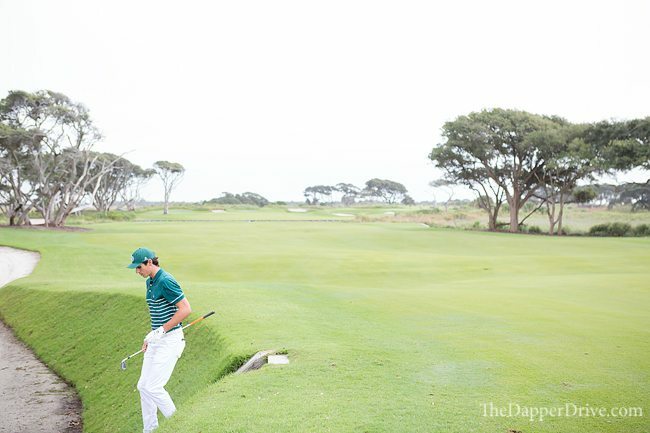 Aside from the sheer length and trouble abound on every tee shot, the challenge gets real around the greens. Many of the greens sit up on a perch (exposing them to the winds) and feature closely mown areas testing your chipping game. 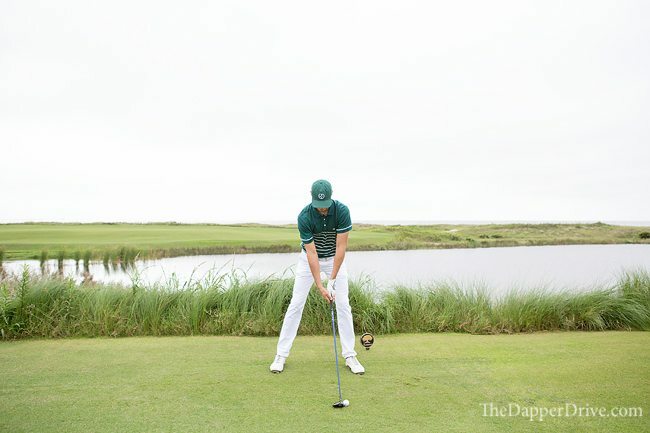 Not feeling the flop shot off an ultra tight lie? 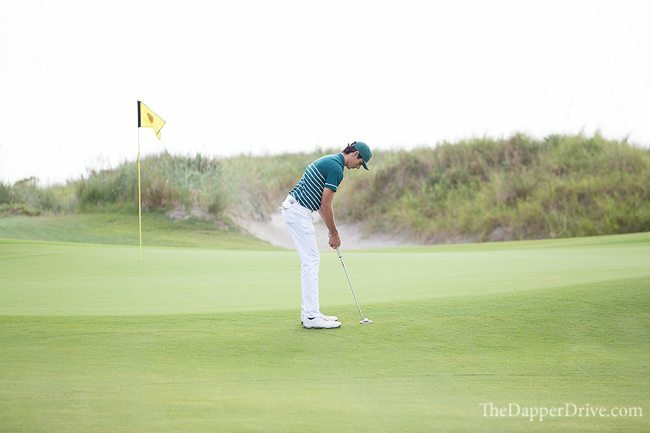 Do your best Kaymer impression and go with the putter to get the ball onto the putting surface. 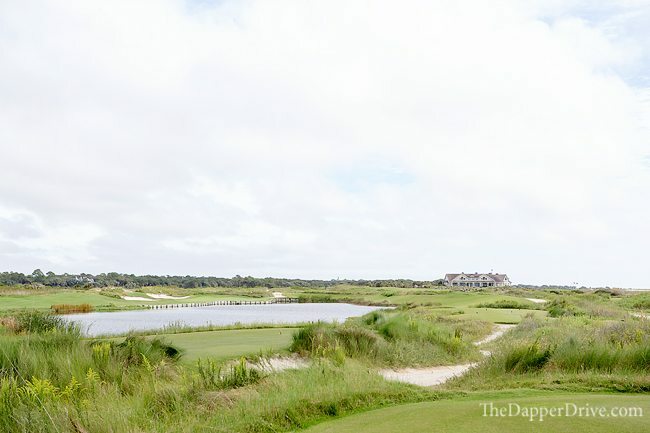 There’s a reason this Pete Dye gem is called The Ocean Course. 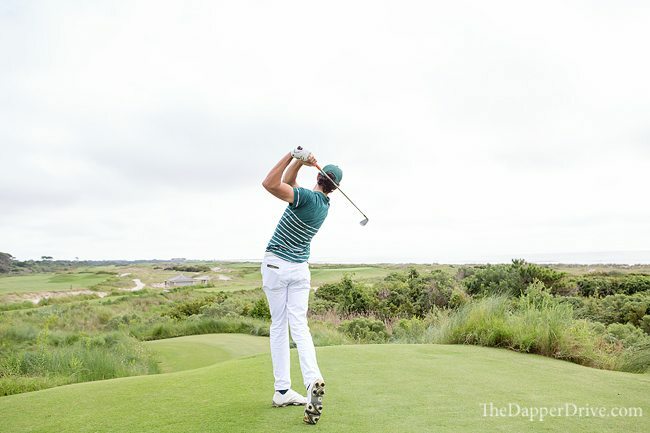 Though the front 9 is set back a few hundred yards from the coastline, the views of the Atlantic in the distance will be sure to tempt you with distraction each hole. 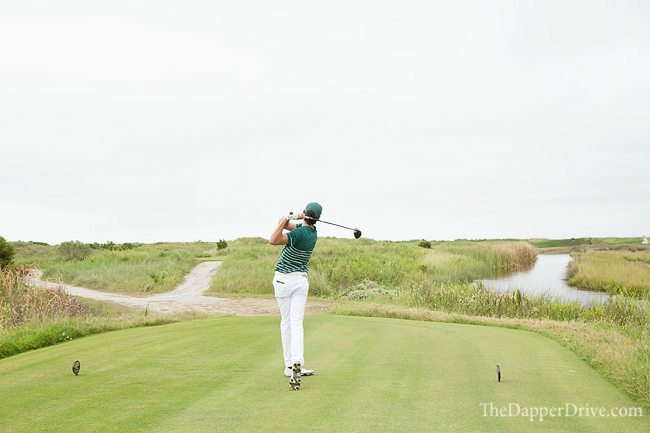 The back 9 is set even closer, with the final five holes running directly along the shoreline. My favorite view is from the back tee on the par 3 14th hole. As the highest point on the property, it yields an awesome view of the ocean and the entire back 9. 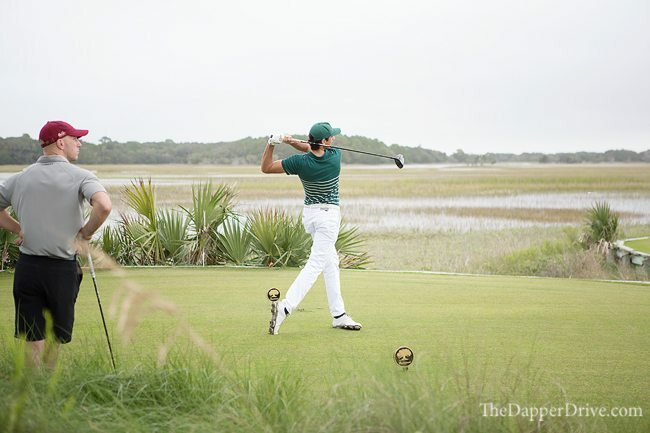 Even if you aren’t playing the Tournament tees, be sure to make the walk back to take in the view! 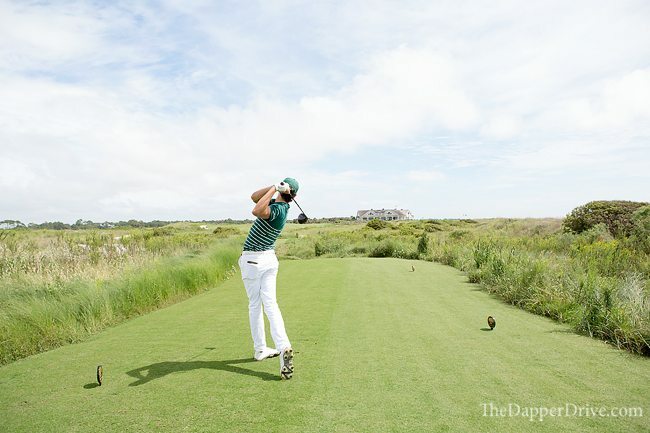 If you’re looking for a climactic ending to a round, The Ocean Course delivers. Holes 1 through 15 are certainly no slouch, but the final three holes deliver a great ending to a memorable round. The 16th hole gives you a risk/reward scoring opportunity in the form of a 579 yard par 5 (Tournament tees). 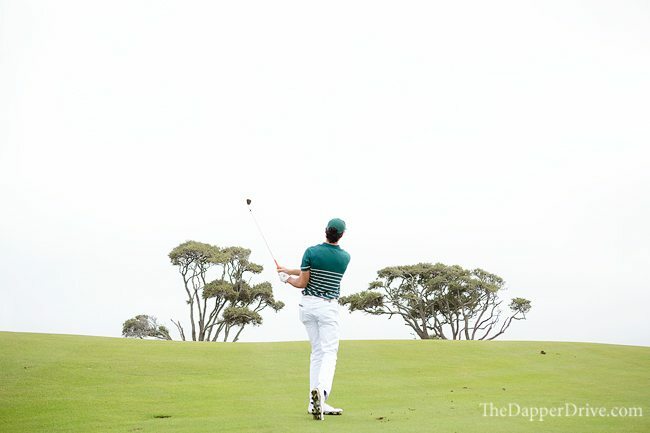 Depending on the set of tees you play and the wind direction, the aggressive player can give this green a go in two. 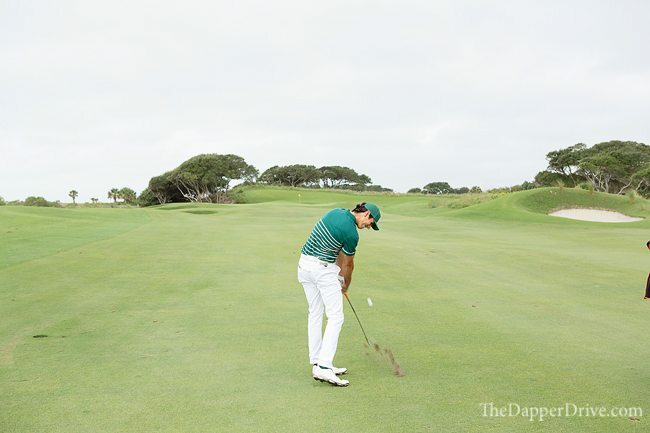 Short-right is the best place to be, or a layup to 100 yards will give you a good birdie opportunity, too. 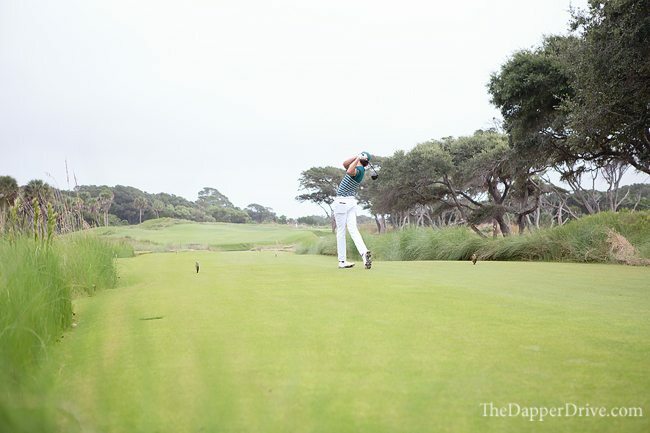 The 17th hole will make even the best of players gulp as they step on the tee. A 221 yard par 3 (Tournament tees), the tee shot is entirely over water, with the green guarded by water on the front/right and two perfectly positioned bunkers on the left. We played the hole with a back right pin, which stretched it to 238 yards! If you manage to survive the 17th, keep the pedal down as the closing hole is no gimme either. A 439 yard par 4 (Tournament tees / can be stretched to 499 yards), this dogleg right hole finishes right next to the clubhouse. I managed two solid shots onto the green, and after sinking my 25 foot putt for birdie, earned a nice round of applause from the onlookers enjoying a beverage on the veranda of the Ryder Cup Bar. Not a bad way to end an unforgettable round! 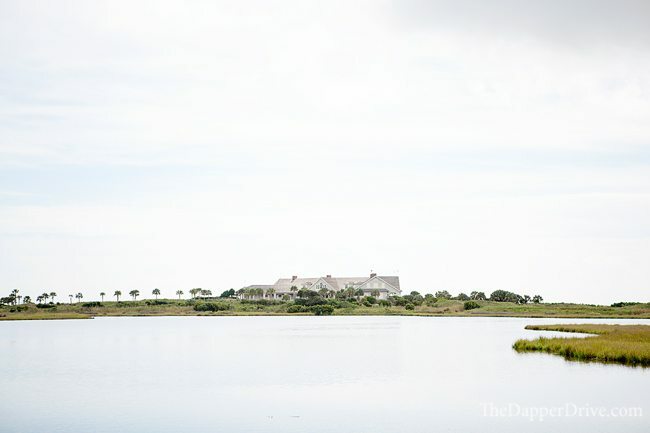 From the time you arrive, The Ocean Course staff ensures you have nothing short of a luxury experience. 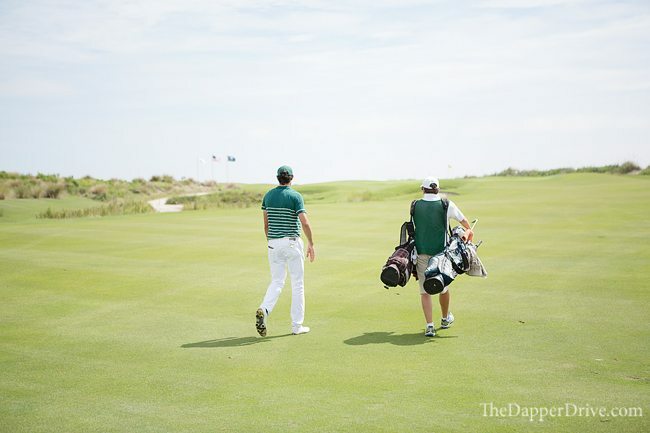 You’ll be greeted by a caddy, who will deliver your clubs to the driving range for your pre-round warm-up. 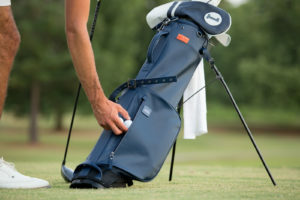 As you visit the pro-shop to check-in for the day, leave enough time to peruse the fully-stocked shop that offers some of the best brands in the game. 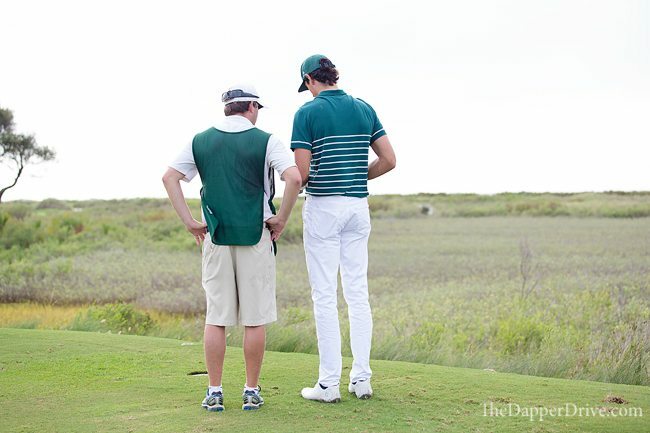 While you hit balls on the range, your assigned caddy will introduce himself and get a feel for your game. 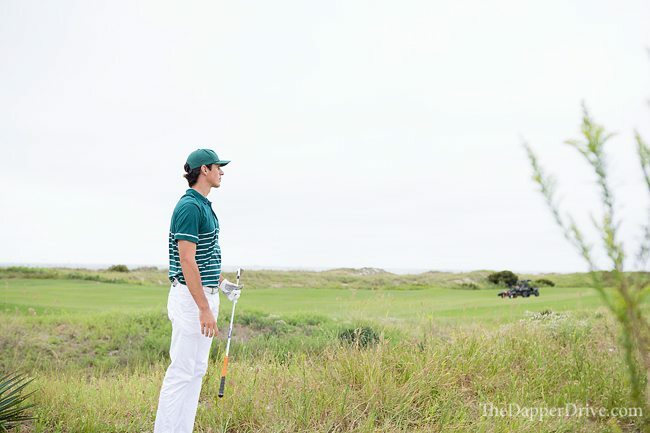 If you’re thinking, “Is it worth getting a caddy?” – I’ll answer with a resounding, yes! Aside from the fact that a caddy is required for pre-noon tee times, I highly recommend spending a few extra bucks to take one even if you enjoy an afternoon round. These guys are super knowledgeable on the course, laid-back and friendly, and will undoubtedly enhance your experience! 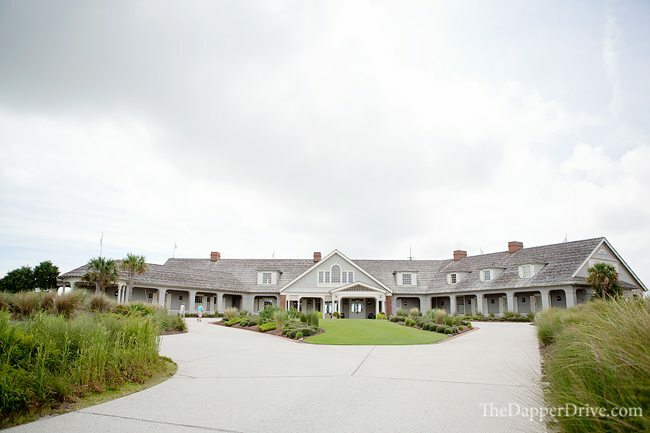 After your round, grab a sandwich and beer on the veranda at the Ryder Cup Bar, or shower-up and enjoy a fine dining experience at Kiawah Resorts signature seafood restaurant, the Atlantic Room. 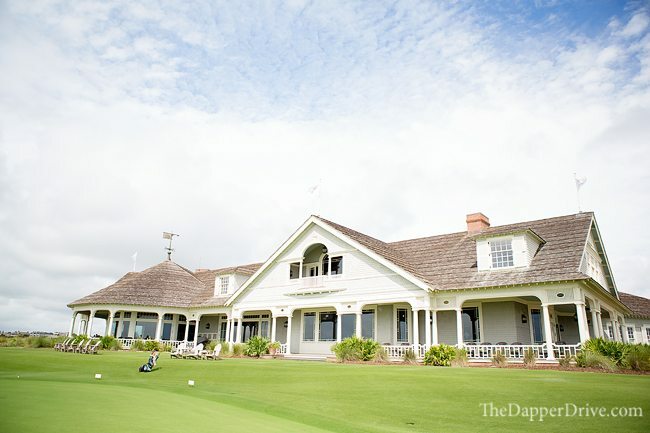 Both are on location in the clubhouse and overlook the 18th green, providing stunning sunset views. 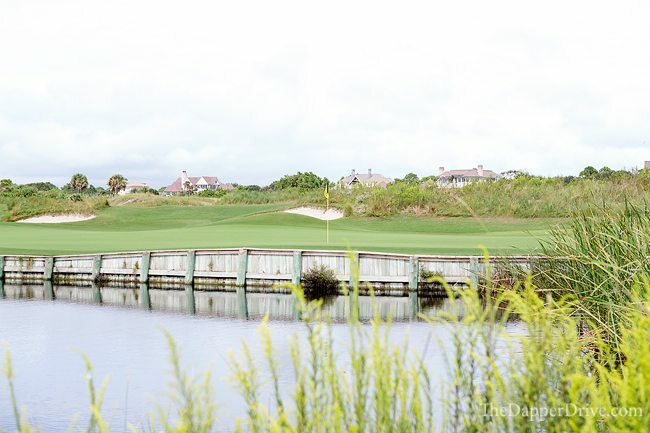 Whether a family vacation, couples getaway, or trip with you buddies, The Ocean Course at Kiawah Island Golf Resort is a must play. 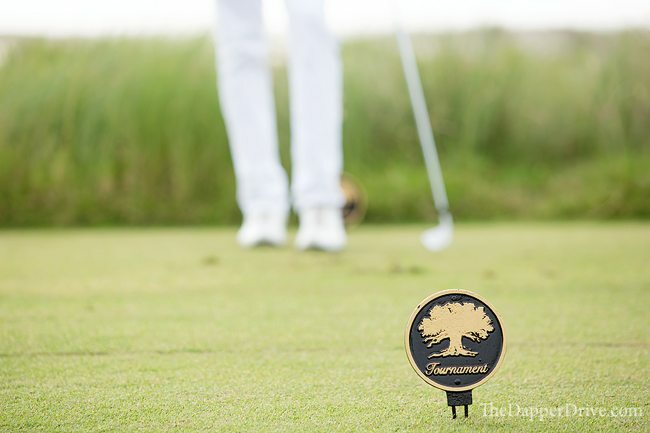 Unique landscape and layout, spectacular views, and top notch service are but a few of the many reasons The Ocean Course ranks #3 on the 2015 America’s Greatest Public Courses list. Add this course to your bucket list and start planning a trip today!